Below are some of the outcomes and impacts of our work in the Manyara Region and includes the impacts that our work has had on those who have visited us. 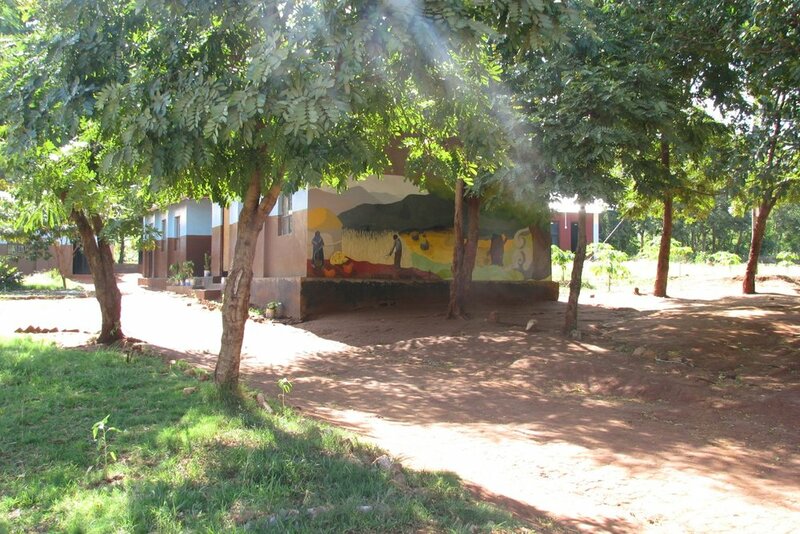 When we began working with this school in 2007, it was one of the worst in Babati. Since then, we have built four classrooms and two teachers' offices, two toilet blocks, a farm store, a chicken coop, a cow shed with accommodation, a market garden and a fuel-efficient kitchen. We have drilled one borehole and brought electricity to the school. We have also renovated seven classrooms, two teachers' offices and two teachers' houses. Over 40 desks and hundreds of books have been added. We facilitated the installation of a satellite dish, as well as several laptops and a projector. We have also introduced the Enterprise Programme at the school, and the concept of self-sustaining schools. The school has benefited from many hand washing courses, as well as new hand washing facilities. It is now one of the best schools in the area, and is competing academically with the private schools. In 2009, the school won the Best Farm in Babati Award, and, in 2010 played host to the first reading competition which is now all over Babati. The school is now preparing for a 5-year plan for maintenance. This school had three hazardous classrooms, which we demolished and rebuilt, while the remaining eight classrooms have all been refurbished. We also completed the building of a teacher's house. A borehole was drilled and electricity brought to he school. We have established 5 income-generation sources at the school (milk, eggs, fish, fruit and vegetables) and have introduced the Enterprise Programme. The school has since won Best School Environment Award. A new cubicle has been added to the girls toilets to help them manage their menstruation with dignity and a hand washing station built. It is now preparing a 5-year plan for maintenance. This failing school was due to be closed down and the situation to save it seemed hopeless. However, together with the community, we have completely turned it around, transforming 'hopelessness' into 'aspiration'. We have demolished the hazardous classrooms and teachers' office and rebuilt them. We also introduced the concept of a termite-proof, metal-framed roof to the Region. We renovated six other classrooms, two teachers' houses, a new high-quality toilet block for all, a new market garden and established the Enterprise Programme. We also built a new fuel-efficient kitchen and storeroom, put up netball and volleyball posts, and bought hundreds of new textbooks. The school is now preparing a 5-year plan for maintenance. 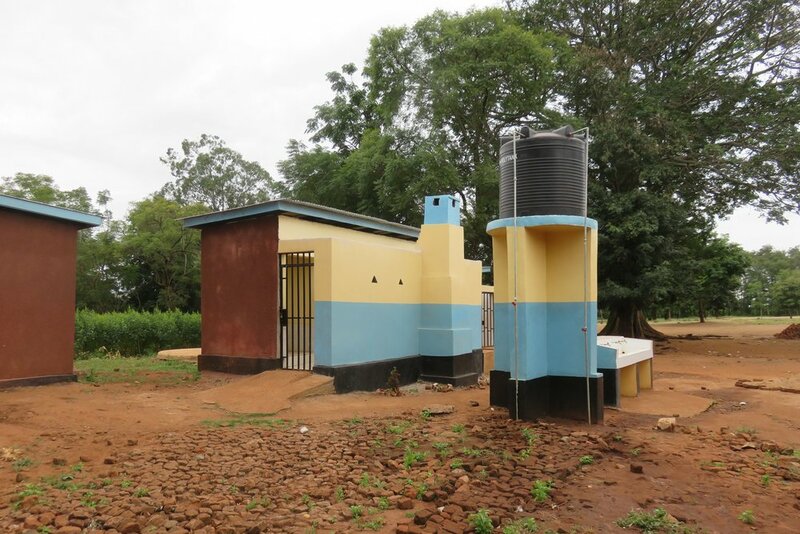 Together with the community and donors, we have built new toilets at this school for boys girls and teachers, all with disabled access and the girls toilets have incinerators, and there is a communal hnad washing station. We have replaced the roof over 5 classrooms increased the size of all of their windows and inserted new windwos in two other classrooms. One wall has been replaced. 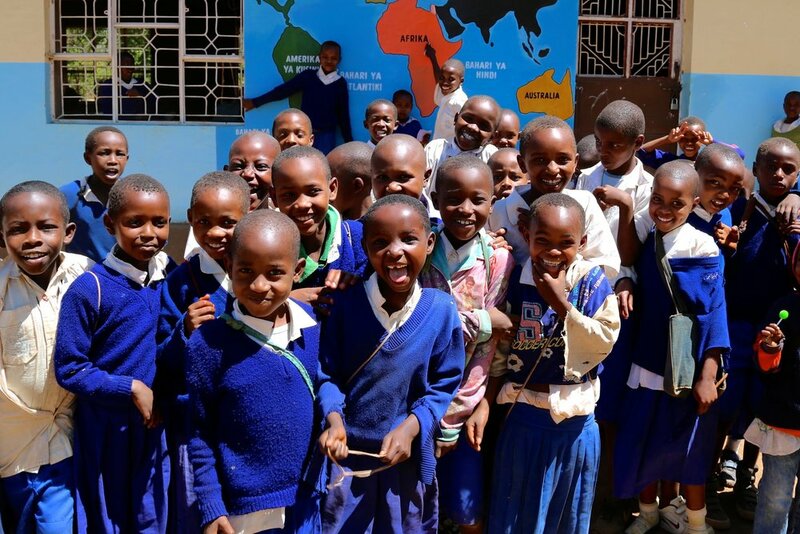 3 classrooms are now full renovated, and 2 have new floors We have drilled a borehole and installed a solar powered pump and we now distribute water throughout the school. A new kitchen with 2 stroe roiioms have been built A market garden income generation project has been started. Because we insist that students at our partner schools are fed daily, over 1625 schoolchildren now queue every day for a lunch paid for by the local community. This helps to achieve zero hunger at our schools, as well as improving health and wellbeing. Students now have the energy to focus in the afternoon so are also getting a better education. We have brought water to five schools and new toilets to six more. We have also provided hand washing training at three schools to date. Eight fuel-efficient kitchens have been built at schools so far, each one saving between 50-60% of firewood consumption. Our 12-week Enterprise Programme is being rolled out to three schools after a successful pilot. Already, students are growing vegetables at home, helping them eat better and generate additional income for their households. Over 125 families have received domestic solar lanterns, meaning students are now able to complete their homework even after darkness falls. To add extra funds to their households, 12 women from Sawe have been trained to make soap. 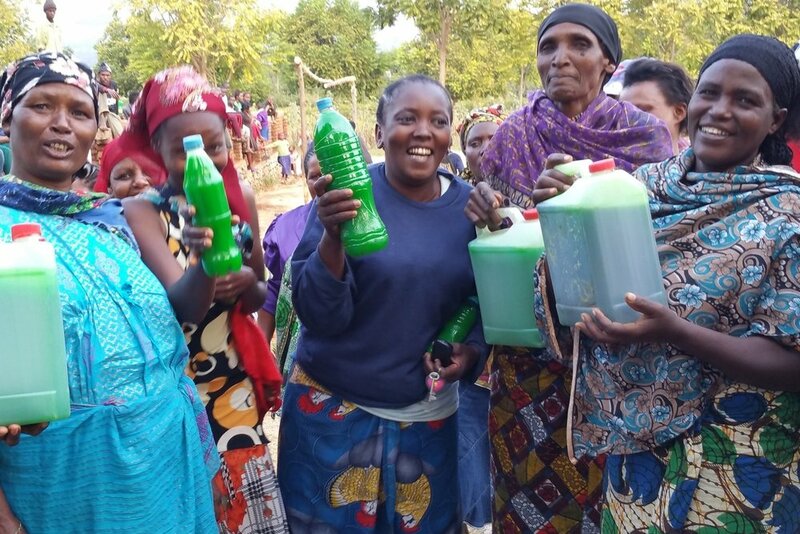 They can now sell their products to the local community, reducing the pressures on the purse. 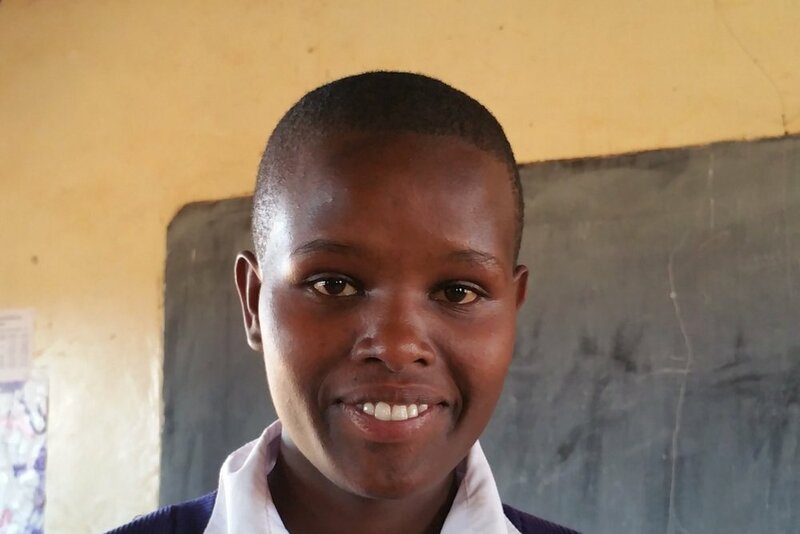 Teresia received sponsorship through six years of secondary school and higher education, and is now at university. Without the Helping Hands Programme, her family would have had to have sacrificed many things in order to afford her education. Isobela has been sponsored through six years of secondary and higher education. She is now in hner final year at university where she is studying Information technology. Without the help of our Helping Hands Programme, her education would have become a burden on her family who would have had to have made many sacrifices to support her. We had a broad understanding of the issues, but little understanding of how the routine of daily life restricts the development of a community. We saw first hand the drive and commitment of communities in reaching out, not for aid, but for a support structure that would facilitate long-term, self determined, solutions. We came away with a better perspective on life. Thank you LTT! Paul and Vincent are now Ambassadors for us in Canada. Peter is a local artisan who carves people, animals and other things out of wood. Since 2007, we have supported Peter's work by ensuring our volunteers and guests get the chance to buy from him. Because of this support from LTT and the income it has generated, Peter's wife had access to the medical care she needed when she fell ill.
Three Maasai families came to us to learn how to grow vegetables - something the Maasai don't traditionally do. We also taught them how to store rainwater in ponds to irrigate their crops into the dry season, helping them to live well on their land. The Waangwaray Teachers have been able to establish small income generation programmes to enhance their wages and make savings. In November 2017 they graduate from the programme having entirely replaced the loans with their own savings. It will then be fully self sustaining. Helen began supporting us when she got some chickens and wanted to raise money from the sale of their eggs. Since then she has sent her daughter to volunteer with us, has come out to volunteer herself, has walked the Peak District Challenge for us, and is now one of our Ambassadors, speaking at Rotary events and holding tea parties to raise further funds and awareness. Helena was selected to cook for the first team of volunteers in Managhat. Her personal situation was a challenging one, and when LTT moved to our office, we needed a housekeeper; Helena was the obvious choice. She now has full-time employment with MCDO and her young son is part-sponsored to go to a private school. This helps Helena give her child the education she never had. Had she not been such a great cook - and such a lovely person - none of this might have happened! Rosina is a Managhat farmer who has benefited from training and loans. As a result, her income has increased, her social standing has improved, she is now on the School Development Committee, and she has recently added a new kitchen to with a fuel-efficient stove to her home. Selina is a clever girl from a very poor family that cannot afford to cover the costs of secondary school. Through Helping Hands, she is now able to get the education she needs to help her escape poverty. "I first worked with LTT in January 2011; the experience had a transformative effect on my life. It was there that I decided that I wanted a career in international development. I have since had the fortune of working for other NGOs. The understanding I gained with LTT of the ways in which NGOs can work with a community, and act as an enabler not a giver, has continued to drive me. I am so proud to be a Trustee of an organisation that makes a tangible difference - my grandfather believed that education was fundamental to opportunity, and LTT are creating these opportunities each and every day." John is not academically strong, but he is hugely bright and has a knack for being in the middle of everything. 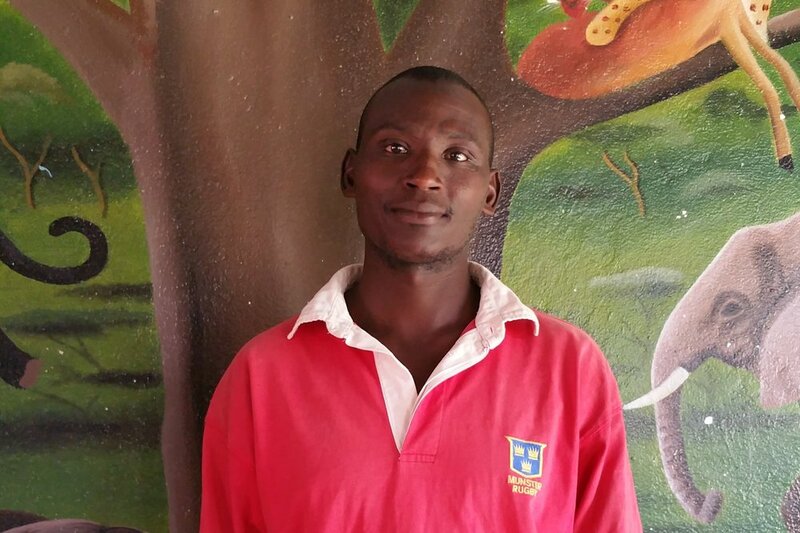 He is currently receiving sponsorship through secondary school and then most likely through vocational training. Once John knows what he wants to do, he will be brilliant at it, and he is finding that path with our support. We are also funding his elder brother through high school and have helped him with some household goods. As a Managhat farmer, Constantino has improved his diversification of crops and improved his income security. As a result, he has added a new toilet, a new living room, a TV and chairs to his home. Through his engagement with LTT/MCDO, he is also the night security guard for volunteers, adding another income stream to his portfolio. Jessica is a clever student who has moved away from her family to live with a teacher in order to focus on her studies. She is such a driven individual, we are delighted to be supporting her as she pushes herself forward through her education. "The whole trip had a massive impact, reminding me to truly be grateful for all that I have, but also how small changes can have a huge impact on others. To never think you are not capable of making a difference." I volunteered with LTT in 2011 and then went back in 2015 to complete the fieldwork for my Master's dissertation. My time as a volunteer was incredibly enriching and eye opening, and the fieldwork I conducted showed me just how well LTT's model works in the context that it's in. Both my times in Tanzania taught me a great deal.